"South Jersey Sasquatch" is a Cryptid researcher based out of New Jersey. 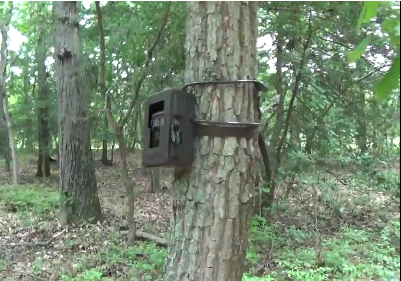 In this video he sets up a trail cam and lays some bait, in hopes of capturing the Jersey Devil or Bigfoot on film. He is thinking about putting up a camera(s) that could broadcast a live feed over the internet, if he can garner enough interest and support. "If it can be done cheaply, it will happen", says SJS.